I have a 'Show weather' button on MyGeotab portal which is a nice feature to show what the weather is in different areas/cities. Thank you for reaching out to Geotab's Forum Posts! By turning on 'Feature Preview' under your user edit, it will enable some of the exciting new features we are working on. One of the features is the 'Show weather' button in your MyGeotab portal. 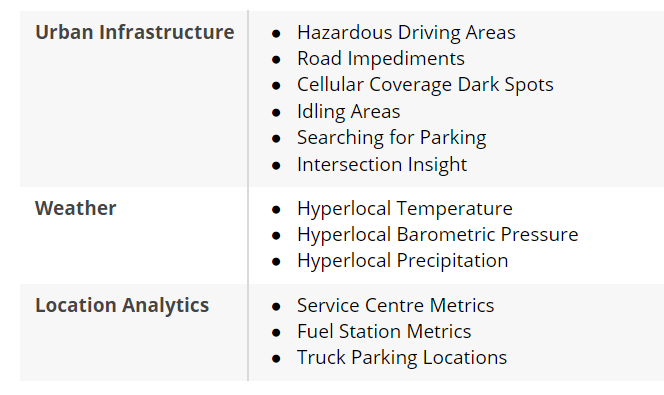 As part of the Telematics Fleet Management Application, you have access to an aggregate data product from well over one million vehicles that has been segmented into three core areas — Urban Infrastructure, Weather, and Location Analytics. You can use these products to gain valuable insights that support your fleet management operations. The data includes information such as hazardous driving locations, road impediments, hyperlocal temperature and precipitation, and service center and parking availability. Read the aggregate data documentation online, which includes links to access the data and view code samples. This data is subject to standard access terms.